Savage 19706 111 Trophy Hunter XP LH Bolt 7mm Rem Mag 24 3+1 Syn Blk Stk Black in. 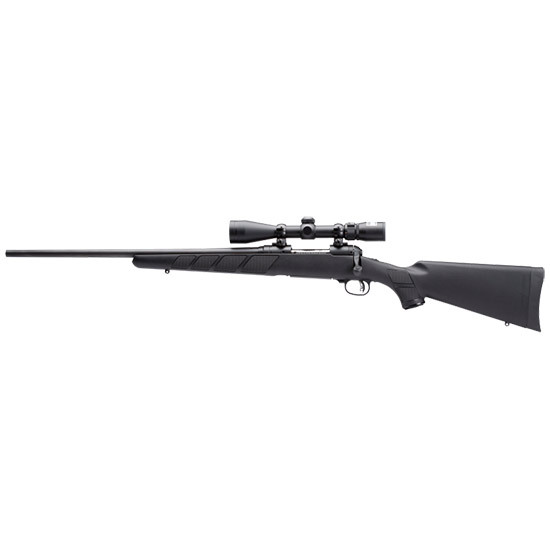 This Savage 11111 Trophy Hunter XP bolt action rifle features a synthetic black stock and comes with a mounted and boresighted Nikon 39x40 BDC reticle scope. It also features an AccuTrigger detachable box magazine and a matte black carbon steel barrel.This model is configured for lefthanded shooters.